Browsing the Amazon e-books, the chance of finding a good freebie can feel like an utter lottery. Many people, even if a book is quite good, leave low starred reviews due to a few grammar or spelling errors, or even for sub-prime cover art. At the same time, many books are rife with errors, as if the person just threw something together and hit published, without even a cursory proofread. While still other books look epic, with epic cover art, very few spelling or grammar errors, and usually a good number of positive reviews too. 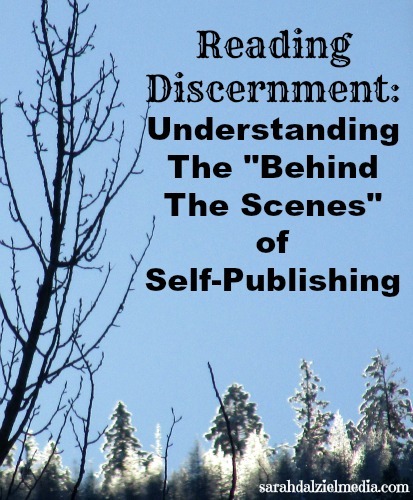 What makes so much difference in indie and self-published books? Amazon’s indie publishing can be roughly split into three types of e-book author. The first type is the one to avoid. These are “authors” who use inexpensive freelance writers to pile out low-quality books in the hope of hooking enough readers to make a lot of money. This used to be called Kindle gold mining, and the practice was quite common. If you are browsing free e-books, if one author has 10+ books free at the same time, then those books are probably not worth your time. Thanks to Amazon’s relatively recent algorithm, KDP-Select changes, and review ranking changes, this practice should become less common. The second type is the “new to it all” indie author. They often have a limited budget, and are trying to do everything themselves. From cover design, to interior editing, to the actual writing, these authors are doing their best – but even the best writer can never accurately proofread their own work. These authors produce the books that are well written, except for those few extra grammar and spelling errors. Which some reviewers really like harping on. The third type of indie author is the “learned the hard way but is now successful.” These authors are indeed self-published, and write their own books. But, they have enough experience and a large enough fan base to afford professional help. These guys get professional cover design, editing, proofreading, and even sometimes beta-reading. Their books are usually on-par, or better, than traditionally published books. A quick search of “free kindle book” in your favorite genre will turn up an interesting selection of, well, free reads. Sorting by recently published can also give you the newest books, right at your fingertips. Now, of the three types of authors, it is the first two that are most likely going to have freebies available. The third type of author might have one book permanently free as a loss-leader to hook you into a series, but they are unlikely to have later books in the series free. A type one or type two author will put more than one book free in their series, and may cycle through all the books in their series as temporary freebies (good for the patient reader, not so good for the author’s bottom line). So, you’ve found an interesting book. The first thing is to check their description. Hopefully it is intriguing, well written, and spelling-error free. But, it should also not feel like an ad, or be stuffed with capitalized keywords. When the description feels honest, it is a signal that it is a type two or three author. Also, when checking the description on non-fiction books, check the number of pages. If the book has an “ad-like” description and is only 17-25 pages, I would probably look for another option. Fiction is a different story, since a novelette may only be 40-50 pages, or less. Though, most novels would be over 100 Kindle pages. The second thing to do is use the look-inside feature. Check the table of contents, and whatever you can read in the book. In fiction, you know what you like and should be able to tell fairly quickly if the story will be interesting (though many new indie authors start well before the inciting incident…). In a non-fiction book, you should check to make sure the information sounds like it will be useful to you. Remember, on the look-inside, most of the type two and three authors will make sure this section is especially error free. Or, they will try their best to make sure it is error free, and is free from awkward sentence construction. If you like the look of the book, buy it (particularly if it is free). If you are still wondering what type of author this is, you can try the next tactic. The third question is how many books do they have and how quickly were they published? Some authors write one excellent book a year, others can push out a pretty good novel in a month. These time frames are an rough estimate for type two and three authors. Less than a month between books, or multiple books in a day, is a red flag for a type one author. Most indie-authors do not save up manuscripts for publishing. We edit them as well as we can, get help if we can, create covers, and then publish. Taking extra time after publishing to try and clear up any “brought to attention” issues. Now, someone who made each manuscript perfect may have a backlog of manuscripts. But, usually trying to make it perfect ends up in the “endless circle” of editing. Authors and their books, particularly indie authors, live and die by their reviews. When you find a free book on Amazon, it is because the author is hoping to gain a few more positive reviews. If (or when) you find errors in an indie published book, the best thing to do is contact the author personally. Email with chapter and paragraph (if known). If the author responds positively and fixes it, leave it out of the review, if they are negative about it then mention it in the review! As a newbie indie-author myself, I would just be happy to know that someone was reading my work and cared enough to contact me!